Parents often want to chat after a speech or seminar where we’re talking money and financial education. Sometimes the topic is a horror story and an appeal for help. But it’s more often success stories of how they helped kids learn good habits. That really energizes me! I started noticing how parents' stories shared common elements and boiled those traits into “four keys to success" shown on the left. 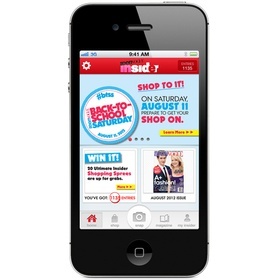 These are the basis for our "Save Yourself" Financial Education Platform. If these make sense to you, read details below and subscribe to the Money Godmother blog for age-appropriate information. Our approach isn't fancy. It is practical and low-cost...and it works. 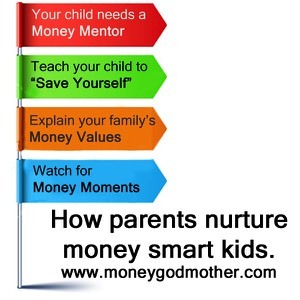 The first step is to identify a "Money Mentor" for your child. Often that's the parent who handles the family's finances. 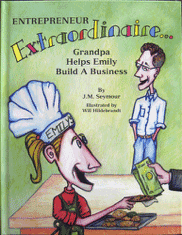 But sometimes a grandparent, aunt or uncle is well-suited for the role. The role of the money mentor is to ensure the child is regularly exposed to various age-appropriate financial topics and experiences. That starts with a piggy bank and learning to count change. 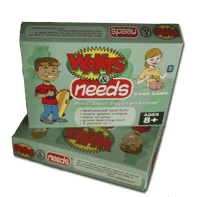 It includes providing books, games and discussions about money. For older children, your talks may focus on jobs or debit cards. 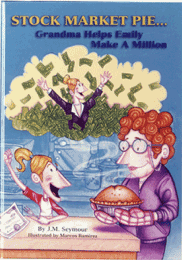 Even starting a mowing or babysitting business falls onto the Money Mentor's shoulders. The mentor’s goal is to be a coach and provide age-appropriate knowledge, practicing key skills, and learning desired behaviors. A mentor makes learning about money a priority. The single, most-important accomplishment a parent can make in financial education is instilling a money-saving mentality. Some who saves regularly and develops a habit is inclined to make smart choices between wants and needs, spend wisely and accumulate wealth. Not every kid finds this easy. 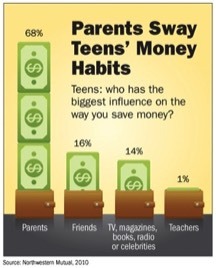 But parents can use a child's savings habit to teach additional lessons. For example, encourage a child to spend his own money for particular items.This provides a springboard to talk about how to budget for items like a car or college tuition. None of this is possible if the child does not have the "save yourself" mentality. Once someone takes responsibility for saving - once he/she has a "skin-in-the-game" mentality, then consistent attitudes toward spending start to evolve. Help your child learn to save early and aggressively support his/her effort. Family money values explain why you manage money the way you do. This area is often the hardest and most important. It’s difficult because parents seldom take time to sort out their money values and put them into words. Once defined, there is the work of communicating and practicing your family's money values, along with money habits and behaviors. Examples of money values include the amount (%) of savings, how credit is used, how much is shared/donated, what household jobs earn extra "pay" or not. Even a family's attitudes toward who pays for college tuition, who pays for a car or philosophy on giving allowances are values. Who do you want to instill money values with your children? If you don’t do it, who will? Children go through phases when they are interested and easily capable of learning new financial skills and behaviors. We call these Money Moments. If kids aren’t developmental ready, or won’t be able to use the skill until much later, your money sound bytes often fall on deaf ears. Look at Money Moments as “just-in-time" learning - similar to a just-in-time inventory model. Parents can recognize these Money Moments and plan how to react. These range from the very simple activities, such as counting money, to more complex concepts like investing, buying a car, getting a mortgage and student loans. With some heightened awareness, you can easily recognize and capitalize on "Money Moments." Don't stress out about it. Parents who touch on one or two Money Moments for a few minutes a week or so can have a huge impact. These four steps can provide the basis of your plan. They are all common-sense steps that will increase the odds your child is prepared to manage his/her finances as a young adult. My final bit of advice is to stay connected with us through our blog, Twitter, Pinterest and newsletter.